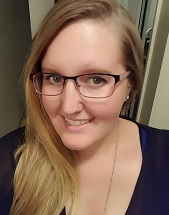 Tara Gosse, MEd, RCC completed her Master of Education in Counselling Psychology at the University of British Columbia and she is a Registered Clinical Counsellor with the BC Association of Clinical Counsellors. Prior to No Fear Counselling, she spent over seven years supporting children, adolescents, and adults through my work as a Counsellor, Behaviour Interventionist, Educational Assistant, and Distress Services Volunteer with the Crisis and Suicide Prevention Centre of BC. In these roles, I have gained experience in working with grief & loss, identity confusion, life transitions, self-esteem, stress and anxiety, depression, trauma and PTSD, relationship conflict, suicidality, and developmental disabilities. It is Tara’s strong belief that the capacity to heal and grow lives inside each of us, but difficult life experiences can keep us from accessing these parts of ourselves. As a result, we can lose our sense of self and our sense of connection with others, which can leave us feeling lost, alone, stuck, anxious, angry, or depressed. Through her practice, she has witnessed and experienced the power of the therapeutic relationship, and believes in its ability to help clients access the parts of them that are lost or stuck, so they can work towards leading healthier, more fulfilling lives. The foundation of Tara’s work with clients is in building a strong therapeutic relationship through offering a non-judgmental, empathic, and safe space, her and her clients can explore the parts of the client that are keeping them from living a more satisfying life. Her approach is integrative and draws from relational, experiential, and expressive modalities. In particular, she has trained in Level 1 of Accelerated Experiential Dynamic Psychotherapy (AEDP), Therapeutic Enactment, and currently completing Level 1 training of Sensorimotor Psychotherapy. In pursuit of continued education and learning, she has also attended workshops involving training in play therapy, sand tray therapy, trauma treatment, Focusing-Oriented Therapy, and Dialectical Behaviour Therapy (DBT). To journey with Tara’s clients in their pursuits of healing and self-discovery is truly a gift that fills her with great joy and meaning, and it would be an honour for her to accompany you on your journey.